LANDSTAR DELIVER TO WIN TRUCK GIVEAWAY CONTEST! Welcome, BCOs, to the 2020 Landstar Deliver to Win Truck Giveaway contest. Check here frequently for contest updates, Safety Thursday information, BCO Appreciation Days information, and more. BCOs, Rosemberg Villarreal just proved it can happen to any eligible BCO. Rosemberg was the January 2019 winner in Landstar's Deliver to Win Truck Giveaway contest. Will you be next? Increase your odds by participating in Landstar's monthly online Deliver to Win Truck Giveaway contest. For our April Deliver to Win Truck Giveaway contest, put on your pirate hat and get ready to hit the high seas for a safety adventure game. A bonus prize awaits when you complete your adventure. You can enter HERE. Only one entry per BCO and entry must be completed by April 30, 2019. Enter now and see how you can Deliver to Win! BCOs, you will, of course, continue to earn your normal single contest entry for every ten loads safely picked up and delivered during the 2020 contest period. For full contest rules and eligibility requirements, please view the Contest Rules page. View previous contest entries HERE. 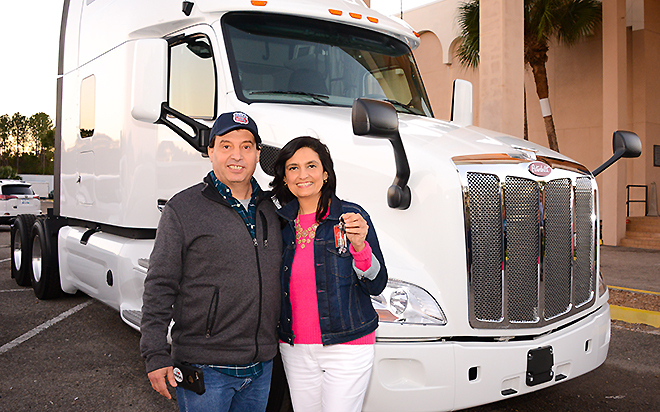 BCO Rosemberg Villarreal, of Grand Prairie, Texas, won a 2019 Peterbilt 579 Ultraloft at our 2019 Deliver to Win Truck Giveaway contest in Jacksonville, Florida. Wife Sandy holds the keys! 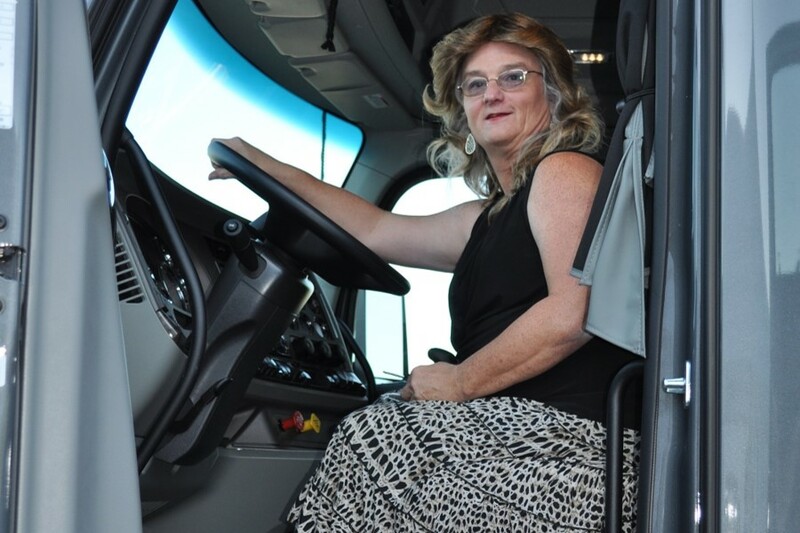 BCO Susan Coffer with her 2018 Kenworth T680. Susan was our 2018 Deliver to Win Truck Giveaway contest winner in Rockford, Illinois. BCO Ralph Hall with his 2017 Peterbilt. Ralph was our 2017 Deliver to Win Truck Giveaway contest winner in Jacksonville, Florida. BCO Tyrone Grant with his 2017 Kenworth. Tyrone was our 2016 Deliver to Win Truck Giveaway contest winner in Rockford, Illinois. 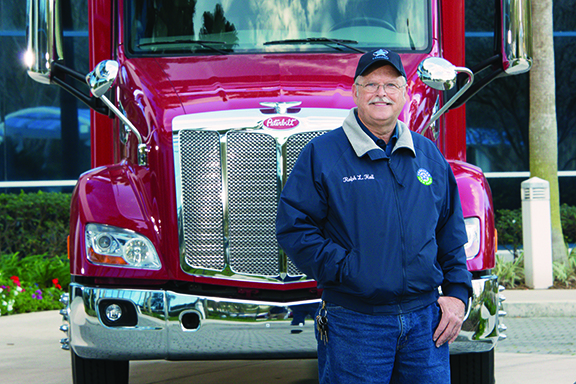 BCO Ionica Dragoi with his 2014 Peterbilt. 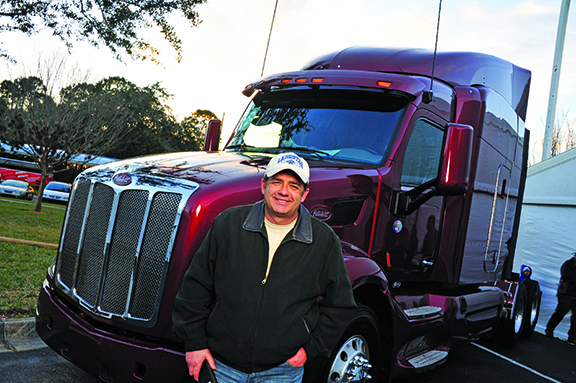 Ionica was our 2014 Deliver to Win Truck Giveaway contest winner in Jacksonville, Florida. 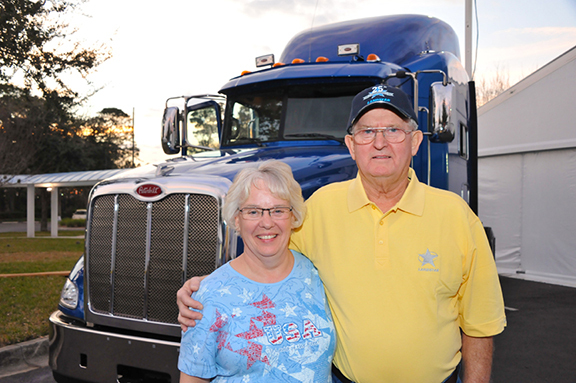 BCO Clarence Patterson and wife Betty with his 2014 Peterbilt. 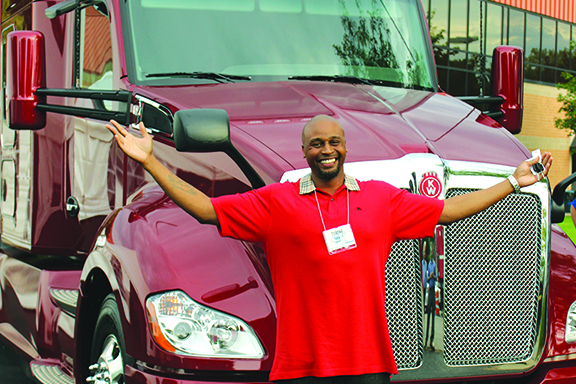 Clarence was our 2013 Deliver to Win Truck Giveaway contest winner in Jacksonville, Florida. Email your comments or questions to DeliverToWin@Landstar.com.